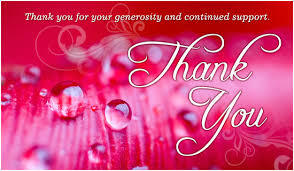 Thank you for your continued support of our youth organization. Your support assists us in continuing to provide for our community. Our organization was honored on March 27, 2018 during the Clippers half time game this through Tobi's Hero. We are very honored to be recognized as a non profit in the community of serving youth. We were asked to choose someone that has been dedicated to our non profit over the years and we chose Ms. Moneka Reece for her dedication for bringing her daughter over the years. We appreciate your support. Tobi's Heroes is a Clippers Player inspired program that honors people in our community that inspire children through sport, community service or education.